The unseen life of farmed fish has given them low visibility in civil society, in policy circles, and in the animal welfare movement, despite scientific consensus that fish are sentient, and suffer pain, fear, and stress. Now it is time to act, writes Douglas Waley. Douglas Waley is the Programme Leader for Fish Welfare at Eurogroup for Animals, the pan European animal advocacy organisation representing 58 member organisations in 24 EU Member States, the USA, Switzerland, Australia, Serbia and Norway. Fish are difficult to sympathize with. They live underwater, we are unfamiliar with their lives and behaviours. They do not make facial expressions, and they are not furry. Yet, science demonstrates high-level pain perception in fish and fish behaviour studies begin to reveal a picture of fish as complex, social and emotional beings. As the evidence base on fish welfare issues continues to emerge, there is a need to integrate it into the regulatory framework addressing animal welfare more broadly at EU level. Seeing fish as one group is an indicator of the problem: 60 percent of vertebrate species are fish species and the physiological and behavioural variety within that is enormous. Within an aquaculture system they face a range of challenges to their welfare. They are housed in an unnatural environment, often a net cage or tank made of concrete or plastic, where they do not have the possibility to seek shade, establish a territory, hunt, migrate, or express most of their natural behaviours. They are likely to be crowded in much higher densities than they would choose naturally. Water quality and feed suitability and availability are dependent on the good management of the facility, while food will be denied for days before events such as transport, medical treatments, and grading for size. Stress greatly reduces the immune function in fish, and when health issues arise fish farmers do not always have effective solutions available (one-quarter of all salmon farmed in UK last year died of disease or parasites). And in the end, pre-slaughter stunning is only practiced in some sectors. Just last week, a long awaited Commission report into welfare aspects of transport and slaughter in European aquaculture confirmed that whole sectors of European aquaculture are failing to achieve international standards. It is time to take fish welfare regulation beyond recognition of the principle and introduce implementable provisions that bring European aquaculture up to international standards and help the sector live up to its claims of world-beating quality. The principle of fish sentience and the need to protect their welfare is explicit within both the EU Animal Slaughter and Animal Transport regulations, as well as the General Farming and Animal Testing Directives. While establishing the principle, these legislative pieces fail to make any specific provisions for fish. The European Food Safety Authority (EFSA) produced a series of scientific opinions on the welfare of important aquaculture species in 2008 and 2009, which to date the Commission has deferred to as providing Member States the detail they need to implement regulations. However, the recently published study clearly shows that the current framework is not resulting in the application of good welfare practices. EFSA members have recently chosen fish welfare as their top priority for further welfare work, having recognised the importance of the issue. 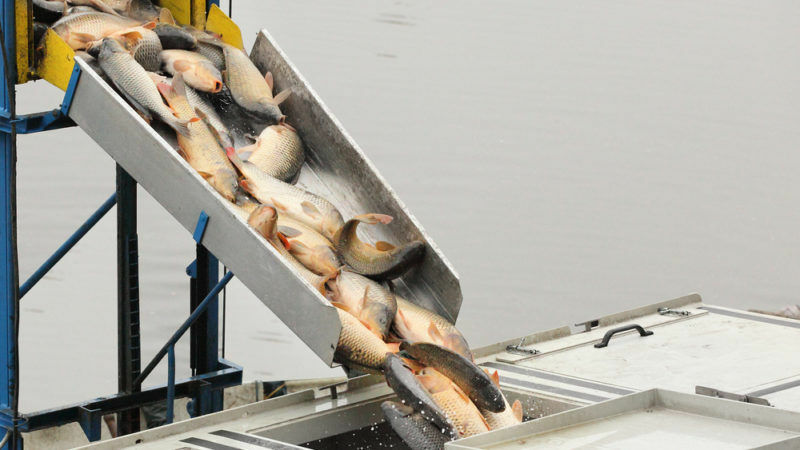 We know a lot about the different parameters for effectively stunning different fish species, and we should be putting these parameters into law in the same way that they are regulated for other farm animals. The parameters for transporting live fish are many, but they are not standardised and should be regulated to ensure good practice. Aquaculture is a young sector and it should be embracing high welfare standards as the route to healthy and sustainable production. It should avoid the path of compensating for welfare with medicines and other practices that are driving the meat industry into a crisis of confidence with its customers. The EU has a framework for protecting the welfare of animals, and now is the time for fish to be at the top of that agenda.